Do you know which are the best and popular sites to submit your blog or website. If not, than today Earning Methods Online provide an list which shows the number of sites which are probably used by the users in 2013. Today article is concern with How to submit your website or blog to multiple search engines. There are so many sites are available on web where you can submit your blog to be indexed by various search engines. Go to the Submit Express, scroll down and type your website or blog name, URL and contact email then click on submit button. 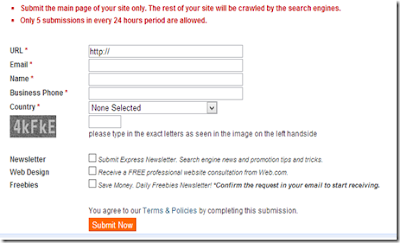 You have the option of choosing which ever search engines you wish to submit to. Make sure you fill the details carefully and correctly. Fill the captcha and click on submit. site carries amazing and in fact good information for readers.